Do old style defined-benefit pensions get better investment returns than defined-contribution retirement plans such as 401(k)s? Maybe not. 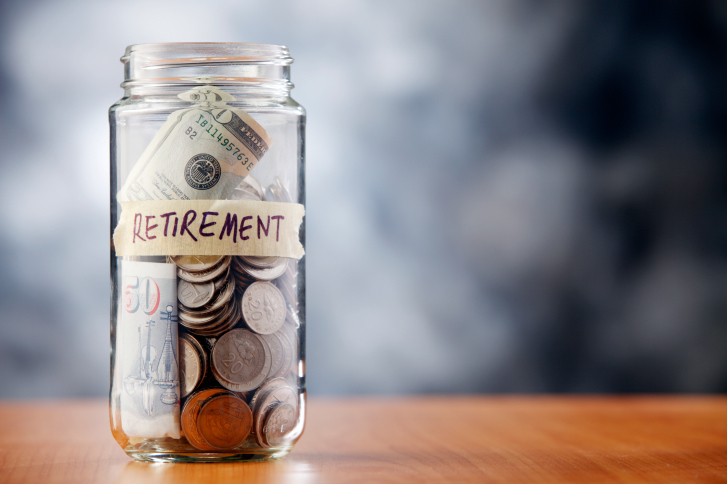 (Bloomberg View) — Old style defined-benefit pensions get better investment returns than defined-contribution retirement plans such as 401(k)s. That’s been established in survey after survey. I cited it as fact in a column about state and local government pensions last week. But what if this particular fact is out of date? That’s the argument that Josh B. McGee makes in a really interesting paper. McGee is a senior fellow at the conservative Manhattan Institute and a vice president at the Laura and John Arnold Foundation, which has been advising state and local governments on pension reform — and in many cases pushing them toward 401(k)-style plans. In his paper, he presents evidence that defined- contribution plan assets are being invested a lot more efficiently and responsibly than they used to be, and have wiped out pensions’ performance edge. The differences between McGee’s results and those arrived at in the past by the likes of consulting firm Towers Watson and the Boston College Center for Retirement Research have a lot to do with how the data is sliced. Previous studies have weighted returns by assets, while McGee gives eachretirement plan equal weight. His reasoning: big plans generally outperform small plans, and pension plans tend to have more assets than 401(k) plans, so this approach gives a better sense of the role that plan design — as opposed to plan size — plays in returns. In recent years, DC plan policy has shifted further away from the pure individual-investor model. Increasingly, DC plans include auto-enrollment, well-designed default-investment options, and automatic allocation-investment vehicles, such as target-date funds. Big DC plan sponsors have also focused a lot on reducing investment managers’ fees. Pension funds, meanwhile, have been under increasing pressure to chase returns, leading to investments in high-fee hedge funds and private equity that haven’t always panned out. So I guess it shouldn’t be that big a surprise to see that the dispersion of returns in DC plans has narrowed, and that the performance gap between DB and DC has disappeared. If we counted the cost of carrying debt for unfunded pension liabilities as an expense for DB plans, Magee argues, their performance would actually lag significantly behind that of DC plans. Forcing people to save via a pension, while it limits freedom of choice, is a better way of ensuring adequate retirement income than simply offering a tax-advantaged or even employer-subsidized opportunity to save. And by spreading longevity risk over thousands of people, pension funds don’t have to set aside as much money per person to guarantee an adequate retirement income as individuals saving for themselves do. As Magee notes above, many DC plans now feature auto- enrollment. Employees can opt out, but few do, so they’re effectively being forced to save. The typical default contribution rate, though, is only 3 percent of income– not nearly enough to provide for retirement. DC plans could also arrange their payouts as annuities, which would insure against longevity risk. Magee argues that state and local government plan sponsors are in an especially good position to do this. But right now, few DC plan members get annuities. DC plans could have these positive attributes, but at this point most don’t. The big current strengths of DC plans are that they are portable from job to job, and aren’t susceptible to the funding crises that occasionally plague pensions. I gave the former short shrift in my previous column, but it really is a big deal. By design, traditional pensions punish those who switch jobs and reward those who (1) stick around a long time and (2) game the system by maximizing their income in the years that count toward calculating pension payouts. This can’t be an economic plus. As for those pension crises, the problem is that pension- plan sponsors have a chronic habit of failing to set aside enough money to meet their commitments. It’s worth noting, though, that DC plan participants also have a chronic habit of failing to set aside enough money to finance their retirements. In the former case, you eventually get a political crisis, after which taxpayers and/or workers take on a bigger burden or retirees get smaller pensions (or some combination of the two). In the latter you eventually get millions of elderly individuals running out of money — as seems likely to happen in coming decades in the U.S. I’ll leave it up to you to decide which is worse, but in either case the solution is finding a way to set aside more money now for retirement later. The three best national retirement-income systems in the world, according to the Melbourne Mercer Global Pension Index, are those of Denmark, the Netherlands and Australia (the U.S. gets a C grade, which puts it somewhere between 13th and 20th place among the 25 nations studied). All three countries have a small, taxpayer-financed means-tested pension to keep the elderly from falling into utter penury, but apart from that they’re very different. Australia has a sort of gigantic national 401(k), a DC plan of individual accounts financed by mandatory employer contributions (currently 10 percent of income, rising to 12 percent by 2019) and voluntary employee contributions. The Netherlands has a huge system of employer pensions, with portability between jobs and entire industries often sharing a pension fund, which has been shifting away from specific income guarantees toward something that observers call “collective DC.” Denmark has lot of things: a basic public DB pension financed by taxpayers, smallish mandatory DB pensions financed by employers and workers and big, near-mandatory DC plans financed by employers (who make two-thirds of the contributions) and workers. What these systems have in common is that they force workers to forgo lots of income now (even if employers make the payments, this presumably depresses cash compensation by an equivalent amount) in exchange for a comfortable retirement. That’s what a good retirement-income plan looks like, whether it’s DB or DC.